Discussion in 'Roleplay Discussion' started by Klor Bishop, Mar 27, 2019. Opposite of the heroes journey. A villain doesn't become evil for the sake of evil itself. Every villain has a story, often one that is more in depth, interesting and tragic than the story of the hero. A powerful dark magic user with a grudge against people and established government is slowly being shaped by the winds of fate, but those stories still need to be written. How did such a powerful being become the way he is? what was the instrument of his fall from grace? who was involved? who wronged him? who befriended him? who did he meet? who did he lose? who did he save? who did he kill? And how did he become a dark lord in command of armies and powerful allies and friends at his side? And finally, who will help me write this story? I would love to accompany you on your journey to find/hone a purpose. I have an appreciation for broken, and damaged characters all willing to fight good for what is right*. I could join you with any of my sub accounts to make your idea a reality. Awesome! I want to see if we can put together a coven of sorts based on the Island Nagai. He has a keep built there and once he finds some powerful followers he will bring them all there where they can further their studies and raise armies of undead or demons or whatever to eventually unleash on the world. For now he's simply traveling around looking for such people that would join him. Outcast magic users, dishonored warriors, hunted witches, disavowed wizards. The deeper their backstories the better. So long as they want revenge for how they have been treated and would follow him loyally, they can follow him to his fortress. A beginning plot idea would be a tragedy in a village. Where they all come to this village not knowing each other, and then the village is harassed and then attacked and set ablaze by the ruling nobles for sport and then subsequently the nobles and their soldiers are slaughtered by the dark sorcerers that happened to be there. So, Nagai is infested with Naga it being their home island and all. So having a base there would be a difficult feat within my understanding. If you have a thing for necromancy I would definitely recommend looking into Eternum, it is a group of necromancers trying to team up and create a nation. It's purpose seems to align somewhat with what you described. The introduction story seems to be a good idea, might want to think about reasons beyond circumstance for people of interest to be there, if you plan to have more than one person. Okay, How about that Island North-East of Eaglehead that has no name? Eternum sounds fine, but Klor wouldn't want anything to do with any organization where he has to answer to somebody. He wouldn't want to bother with competing for power and recognition within an organization. As far as people coming to the village, honestly I think that's up to them to decide what they're doing there. I can think of a whole slough of stories that could go on in a small village that could showcase the corruption of the system and kickstart the villains journey. maybe he hasn't even made a base for them yet, maybe he's not fully bent on evil yet, but what happens in that village is what breaks the camels back and he decides to rally dark magic users and outcasts together to fight back against the "Accepted Evil". I'd be interested in this, pulling an old character from my WoW days here. Since he was a death knight in WoW I'll be basing this one off the same generic principles from the class if either of you have given the game a go, and that way I've got a better backstory for the character. As for why he would join up the quest for knowledge in these nefarious practices give him the reason for being presented, however he also would be against joining a ranked group for similar reasons from above. If you'll have me I'd be excited to help write a captivating plot line! Be great to have ya Kreyadis Nightwing . I'm open to ideas from anybody, the scenarios I've mentioned is just what I could come up with off the top of my head. Like I said in my original post, people don't just become evil for the sake of evil. Klor is a powerhouse dark magic user that could probably turn a good portion of the countryside into a frozen wasteland, but he hasn't reached that stage of deep sadness, loss, or rage where he has ever had to. I guess he's not really a villain yet, but I'm looking to create that tipping point for him. Ok this all looks good then, it can all work. I just will have to choose between Steve Will's son, or Akarnianna. Steve fits the dark magic vibe, as he is a skilled practicing necromancer. He is a bit of a jester who acts in a ridiculous manner at times, though can also be quite serious. He has was a founding member of the idea of Eternum though has never visited where they plan to set it up. He pushed for Eternum to become neutral as well as focus on stability. He is a cautious fellow who values his friends extremely. If he believes that anyone harmed, or is protecting one who harmed one of his friends he would fight against them happily. Arkarnianna on the other hand would bring a much more emotional side to things as she has been pushed to her breaking point mentally/emotionally by a shadow organization called "The College". She previously hunted dark magic users with her anti magic abilities, and worshiped the organization zealously. She has always been a touch mentally unstable from being tortured, brainwashed, and abused, while having to justify doing what she is ordered over what is right. She is a bomb just waiting to explode. Part of the way the college has controlled her all this time has been by having her worship non-dark-magic users. So an order to take out a magic user she knows isn't using dark magic would prob be enough to break her. Giving you some one in need of purpose and easy to manipulate. So TL;DR: Arkarnianna would be a darker character, she would be more passive. Steve would be a lighter hearted character, who would be more likely to challenge you, and call you out. TTamark I'd also say that you leave the decision of which character to bring to yourself, variety always helps to make things more interesting! 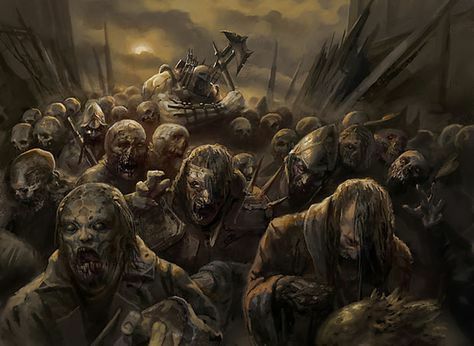 So if we're spitballing plotline ideas I'm down for an amassing of resources in a centralized area to create undead armies and things of the likes, as this would be pertinent to what Kreyadis is striving to accomplish, location of no issue, however I gotta mention Kreyadis is a chaotic evil character. His original goal may seem romantic in intent, however he will literally do anything to complete it. He's not of an anti-establishment variety, he doesn't really care for anything in the world at all, except that which helps to bring his lover back to life. I say this for the spitballed idea of the village attacked by nobles. In all fairness he'd probably not be there unless there was something he was looking for, driven merely by incentive, given that this elf spends his time crypt diving, dungeon delving, and would usually only be in society if plucking out victims for experimentation, commoner or noble-man alike! I wouldn't say he's got a reputation, however he doesn't try to hide his intentions, therefore it's not hard to tell what kind of person he is! So what scenario would be the best to get them all in the same place, provide an evil breaking point, and put them on the same road? There needs to be some powerful magic artifact involved. Some sickening display of political corruption that probably ends in the death or slaughter of someone or some people. Don't know why Indiana Jones came to mind. Okay, if that's the way to go then I'd say the artifact obviously be of dark magicks, probably shunned by Elbion and the likes. Political intrigue could be that a local baron has been increasingly tyrannical after coming into contact with it, corrupting the once kind hearted man. The locals respected and looked up to him, so this throws the community into disarray as the lord and inhabitants of his keep become increasingly effected. There could be something along the lines of too heavy taxes, and the local government actually enforcing its policies brutally which guide a populace uprising against them. Word has been travelling across the land of such predicaments occurring, so your character may have heard about it while at an inn or tavern and the likes, or seen correspondences regarding the events! This would also attract not just would be do goodies, but also those looking to make easy pickings of the strife, so regardless of moral outlook it would explain the different walks of life! I like that story, I think we should go with it! I forget that Dark Arts is a separate from from necromancy here, usually I treat necromancy as a subset of the DA, anyways I’m glad you like it, I was thinking similar ideas of the effects, and I say it could speak to the dead, however a sacrifice of life must be made in order to do so, maybe of someone sharing same blood relations of the deceased? That would be cool, but I think there would be a catch to that. in contacting souls, if that soul has passed into peace and paradise, you would only be able to summon a lost spirit pretending to be the one you love. When I say "The College" I talk about a shadow organization that is connected, and operates out of all the magic colleges, Elbion especially as it is the largest. Blood magic, necromancy, and demonic pacts: these can all be dark arts. so ya necromancy is a subset of dark magic. It can be challenging when deciding what character to bring. I was showing the options so that if me writing with Steve who will ride in with an army of undead poultry, offer stew and good vibes, consistently call out people for being edge lords, and use potatoes in odd ways for his magic, would cause any issues it can be dealt with before writing starts. Believe it or not some people can feel upset when they are trying to create a dark and broody atmosphere, and the happiest, go luckiest goof shows up. As no such complaints have arrived I can use either. Rest assured I will choose depending on what I think will make the best story. I do want to confirm however what kind of goals we might be expecting. Should I expect the goals to be revenge based, doing the tough, but right thing, greed, and/or vigilante justice. I want to figure out what type of evil(s) we are talking. Basically, the conclusion Klor would come to is, "Civilization is corrupt, it must be wiped out and reborn better than it was." Then probably proceed to cover the whole landscape, village and all, in a frozen wasteland. And yeah but people who try so hard to ascertain an aesthetic usually can't live up to it anyways... While I like deep writing I find the people who try to control the situation as a whole to fit their characters instead of allowing their characters to adapt to the situation usually don't know true rp, or really true character development. I mean Kreyadis is a machine of a being, not really one to indulge in anything other than what furthers his main goal, returning his lover from death. Stoic, cold, harsh, the necromancer is a chaotic evil, as I say above in repetition, WILL DO ANYTHING IF IT MEANS HIS LOVER'S RETURN. I kind of write him out to be sort of an edgelord but its really because he can fit the maniacally evil image if necessary. If it's not obstructing his path, if it isn't hindering him from goal completion, he won't bother with it, so if your character is making fun of him and such its not as if Kreyadis is going to devote energy on getting rid of them, Kreyadis doesn't care about external factors as long as they don't impede his internal struggle's resolution! Kreyadis is goal focused, goal oriented, only cares about goal completion, only cares about his lover's return. Everything else is a stepping stone to getting there, if it doesnt help his success he doesn't care as long as it doesn't slow or stop. It's when there's a conflict that absolves him from his main duty that he truly tries to change something in his presence. Otherwise he's rather go with the flow, as far as is the case for such villains. Think of him like MCU's Thanos, patient in waiting while he slowly moves forward behind scenes in plot progressions, only coming out when his progress is slowed or halted, or near fruition. Ok all sounds good. The point of the name is to be confusing, If you say "The/Our College" it allows for misunderstanding. And ya Kreyadis I agree with you, but people who want a certain aesthetic exist, and wanting to write a story which has a certain aesthetic is not really wrong. Instead of being stubborn about my beliefs, I lose nothing from being cautious, and bothering to ask. I also ask so that the story doesn't end up with characters leaving all over the place. When you are going into a collaborative story there will be some give and take, but in the end my characters will have their own motivations, and morals. Having some knowledge about what I was walking into helps me choose a character who will help make a good story. While it is fine to have a character show up interact and go away/oppose others because they don't agree with them is fine, it can cause some problems as well, some good for the story, some bad, some I might just not want to have to deal with. Okay, I'll put up a thread soon. Am i to late to join in on this?